If NRM was created in the 1980s as a resistance movement against bad governments of the time, and those governments were defeated and the victors have been in charge for nearly three decades, what are you still resisting? A few of my friends and I were having a lively debate recently about the future of Uganda. Top on the list of the difficult questions we were asking ourselves was: Will President Museveni retire or seek another term in 2016? What is better for the stability of Uganda? As the debate went on it suddenly dawned on us that whichever way you look at it the country is in trouble. The country is in trouble because when you, again understandably, that you are illegally promoting and preparing your son, Brig. Muhoozi Kainerugaba, to succeed you as president. You have not helped the situation because on several occasions you have written long articles in the papers defending your son. You have worked tirelessly to alienate your comrades with whom you went to the bush over three decades ago to fight insensitivity, bad leadership, and several other vices. Continuously, frustration and a common sense of betrayal have swept through all strata of NRA/NRM. Today even a novice can easily see that the NRM party is in a self-destruction mode. Mr President, I picked pen and paper not to discuss the succession question. That topic now requires a PhD thesis to be adequately analysed. The reason I picked my pen this week was to ask a simple question: If NRM was created in the 1980s as a resistance movement against the bad governments of the time, and apparently those governments were defeated and the victors have been in charge for nearly three decades, what are you still resisting? Is the name National Resistance Movement still relevant for the supporters of the ruling party? Whom are now resisting? Yourselves? Could this be the reason the NRM party has become a party of “rebels”? Are we surprised that these so-called rebel NRM members are becoming more popular in the party than the subservient members? Mr President, if NRM is a party of resistance, and that is exactly what the likes of Mohamad Nsereko, Theodore Sekibubo, Tinkasimire, and others are doing, then why do you dismiss them? The last time I checked these “rebels” were resting against the rampant theft of public funds by their colleagues; they were opposed to vote rigging, opposed to undemocratic laws lately written by their party, such as Public Order Bill (now Act? ); opposed to life presidency and/or creation of political dynasties and other such ills worth resisting. Then, why expel a person doing such a noble job from a National RESISTANCE Movement party? Anyway away from sarcasm, your party, Mr President, has lost direction. It has lost the clout it had created beginning in 1986, particularly in the 1990s. The ‘90s were seminal and often highly octane times. Back then, people believed that politicians could make a difference. The NRM had rebuilt a sense of hope and optimism among Ugandans. The new “leaders from the bush” represented a breed of heroic leaders that had succeeded at resisting and uprooting from power the oppressors and servitudes of the 1970s and ‘80s. That euphoria is long gone. Today it feels that somehow the resistance leaders have not only lost the plot, they need to be resisted as well. Politics seems to have become less and less important for the people of Uganda. Political decisions seem to have less significance. Why does this seem to be the reality of the day? Why have you, resistance leaders, lost people’s trust and confidence? There are probably lots of reasons. First is your decision to rule upon us forever. After nearly three decades in power, it becomes boring for anyone to stay in a constant situation. Even in a home, a parent becomes boring after a certain period of time. No sensible child can feel comfortable staying with their parents at thirty. Even our spouses; time comes and we no longer feel them. I saw you renewing vows with Maama Janet recently! Why? Why did you feel it was necessary to redo the “I do’s” you did forty years earlier? Because all the magic had gone! Given an opportunity you would move separate ways, but since in that institution of marriage you have to stay with others “until death does us apart”, the only option you had was to hide in the renewal of vows. If our children and spouses can get bored of us, then what about a leader! How can you expect us to continue listening to your recycled speeches, visions, and ideologies for thirty years? It’s damn boring! Mr President, you really bore us now. Please save us this boredom and go to Rwakitura in 2016 and leave others you came with to carry your vision forward. A vision without a timeframe is not good. This is the first reason we have lost the love for the Movement. Secondly, the successive scandals that have characterized your government in recent times have reinforced a sense of snouts in the trough. You cannot expect Ugandans to continue supporting a government whose top manager are all plagued with theft of public resources. Forever this government will be remembered as the most corrupt government in the history of Uganda. In the history books of Uganda, future generations will find records of governments: Amin’s government killed Ugandans; Obote’s messed up politics; and Museveni’s NRM stole the living hell out of Uganda. Thirdly, the NRM government has over promised and under delivered in too many areas. People are generally less deferential and access to information has probably made them more questioning. Whatever the reasons though, I believe that politics is now seen as less and less important by more and more people. Fourthly, Ugandans are tired of you politicians who think that without you this country would not exist. Your inflated egos and importance has turned Uganda into a country of strongmen. This has killed parties. There is nothing like NRM party anymore. What we are seeing are individuals acting on their own. Now NRM is gang of cliques — those that support Yoweri Museveni; others behind Amama Mbabazi; then those with Rebecca Kadaga; those of Gilbert Bukenya and the “rebels”. What kind of a party is that? I strongly believe this party will collapse immediately the current generation ages to their graves. Reason? NRM does not have any history or heritage. It was a group formed to do a mission. That mission was well executed but after reaching the pinnacle, the mission leader turned against his colleagues. Even God cannot allow such a person to get away with his crimes. But on a serious note, unlike other political parties, NRM does not have loyal supporters. Most of its supporters subscribe to the party for convenience and pecuniary purposes. I have no doubt that many supporters of NRM today put on yellow mainly for logistical purposes. Their hearts do not lie there. 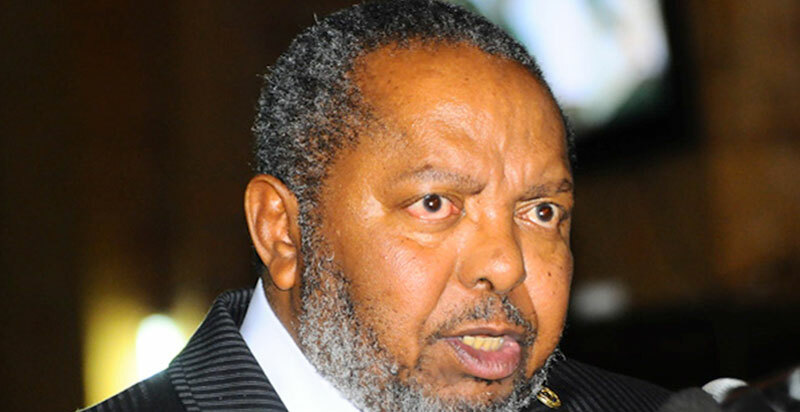 I doubt whether if NRM went out of power, many of its supporters would do what DP and UPC supporters have done forever and for 30 years respectively — remaining loyal to their parties. Go to Uganda House and see what I am talking about. Mature democracy requires that leaders of parties find out what, if anything, senior members in their parties stand for. What is in their heart? Do they align themselves with those things? But one fact we should never forget is that NRM will find extremely hard to outlive its founders. It was formed on a popular doctrine of resisting bad leaders and all its ingredients. However, over the years and mainly because of the greed of its leaders who never wanted to leave power peacefully and who stole nearly everything that can be stolen, it lost the popular support of the people of Uganda. NRM has now become a training ground for future resistance leaders. It’s inevitable that they new students of resistance will have no one resist against except their teachers.